Good governance of land is crucial if food production in Africa is to keep pace with population growth. Bad management can lead to conflict and a deepening of the continent’s problems. Formalizing land rights, through registration, is seen by many as having the potential to significantly contribute to increasing agricultural productivity. Such programs, however, have had limited success in terms of strengthening or even safeguarding the land rights of women, who make up well more than half of the farmers on the continent. In Burundi, The Hague Institute for Global Justice works together with the Dutch international NGO ZOA in a project that aims to find a solution to this problem. Burundi faces a massive land problem, with serious implications for its citizens’ security. Food security is high, with some 28% of the population is acutely or moderately food insecure and 53% of children under 5 are stunted. Land-related problems also affect safety and physical security. Research conducted by The Hague Institute in 2013 shows that land disputes can easily turn violent. More than 35% of violent crime cases registered in Burundian criminal courts can be traced back to a prior land dispute. Two root causes of these problems can be identified. The first is acute scarcity of land. Burundi has one of the highest population densities in Africa and the population continues to grow. Yet whilst in other densely populated countries a significant portion of the population is often concentrated in cities, Burundi remains a predominantly rural society. More than 85% of the population depends on subsistence farming for survival. This means that land holdings by families are generally minute and frequently insufficient. With each generation that comes of age the land is sub-divided and the problem intensifies. Off-farm income opportunities are extremely scarce. Not surprisingly, then, the resulting severe land pressure is reflected in a very high proportion of land disputes. These problems are compounded by the effects of the country’s troubled history, which is characterized by ethnic tensions, recurrent political crises and violent internal conflict. A series of rebellions in 1965, 1969, 1972, and 1988, in which Hutu rebel movements unsuccessfully sought to overthrow the Tutsi dominated regime, left hundreds of thousands of mainly Hutu civilians dead and forced even larger numbers into exile. A civil war that raged between 1993 and 2005 claimed an estimated 300.000 deaths, including a very large number of Tutsi; over 500.000 people fled abroad and another 800.000 were displaced internally. The land holdings they left behind were almost invariably occupied, some by opportunistic neighbors, others by people who themselves had been forced to flee or were driven to move by over-population. Elections held in 2005 brought one of the former Hutu rebel movements to power and marked the start of a period of relative stability, during which many hundreds of thousands of refugees and IDPs have started returning to their places of origin. Theensuing land disputes rank amongst the most sensitive and disruptive in Burundi. Handing out certificates that constitute proof of ownership and will protect the rights holder in court. In this context, women’s land rights are subject of heated debate. The Land Code poses no obstacle to registering land in the name of a woman, but in practice this will be very difficult and rare. Women, especially in rural areas, have little or no means of their own with which to purchase land, so they depend on succession and traditional gifts by family members to access land. These customary rights are often secondary in nature to those of the men in their family and as a consequence men are most likely to claim a certificate. A bill to reform the Succession Law so as to grant formally protected land rights to women has been stuck in Parliament for years and is considered very unlikely to overcome conservative opposition in the coming years. It might appear, then, that the possibilities of relying on land registration in Burundi as a way to foster women’s legal empowerment are limited, but this is not the end of the story. Experience in other African countries, especially in poorer rural contexts, suggest that land registration can have the unintended effect of eroding women’s customary land rights. Because men’s rights have superior status under customary law and thus make it onto the certificate, women’s secondary rights grow weaker. A woman who under customary law has the right to cultivate a portion of her brother’s land in case she is abandoned or widowed, may find it harder to exercise her claim or defend herself in case her brother wishes to sell the land and argues that only his name appears on the certificate. This is particularly problematic because, as the example suggests, such rights will often act as an insurance policy for women to protect them in times of hardship and destitution. 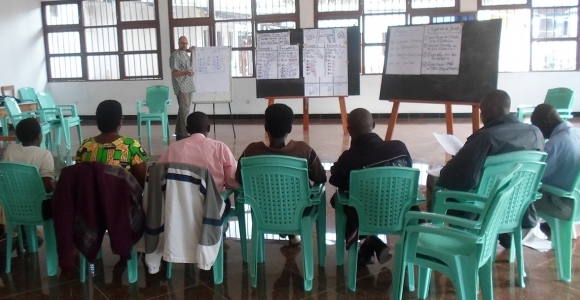 The Hague Institute for Global Justice works together with the Dutch international NGO ZOA in a project in the South of Burundi that aims to find solutions to these problems. 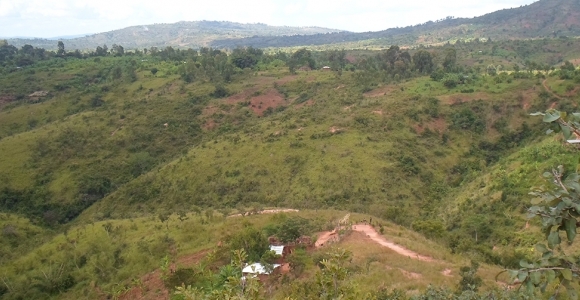 The project, which targets some 22.000 households, is also innovative in that it is located in an area close to the border with Tanzania with an exceptionally high level of disputes between residents and repatriates. As such, the project is meant to function as a bridge between earlier and on-going land registration pilots and a possible nation-wide program. Part of the role that The Institute plays in this process is to work together with the affected communities to identify ways to safeguard women’s customary rights in the registration process, amongst others by ensuring that these rights are appropriately reflected on ownership certificates issued with regard to the same piece of land. It is hoped that the results will not only make it possible to preserve a crucial safety net for the Burundian women concerned, but will also be relevant to similar initiatives undertaken abroad.